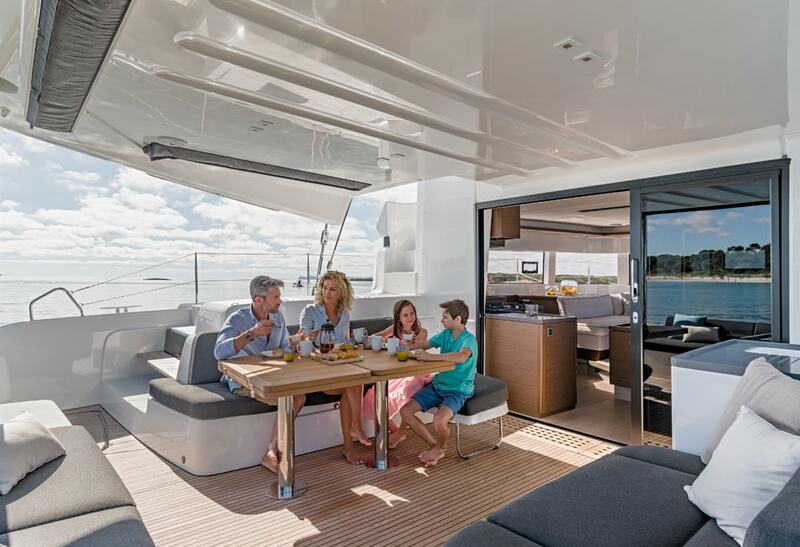 The Lagoon 50 combines all the well-loved features of the 450 and 52 models. 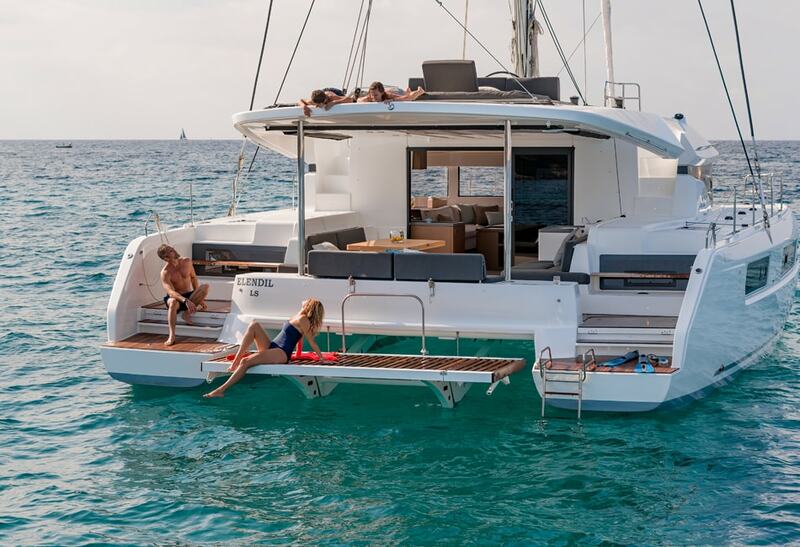 She’s the perfect boat for owners looking for a model that’s both modern and seaworthy. 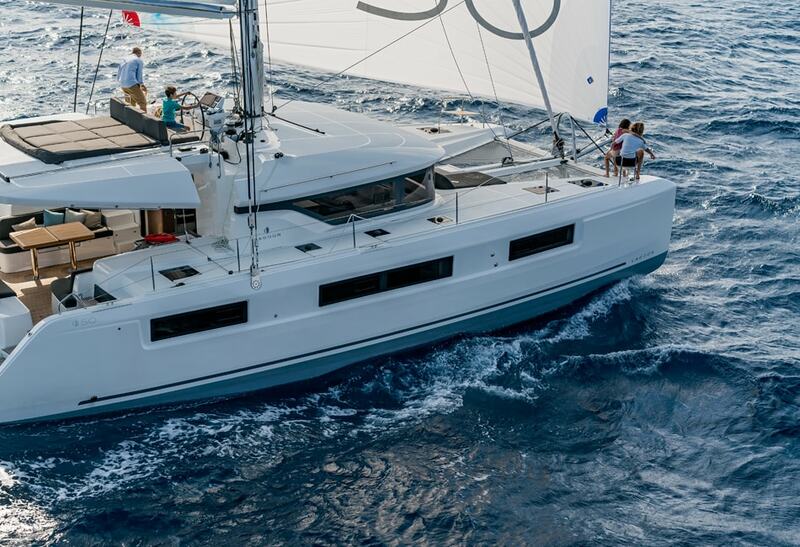 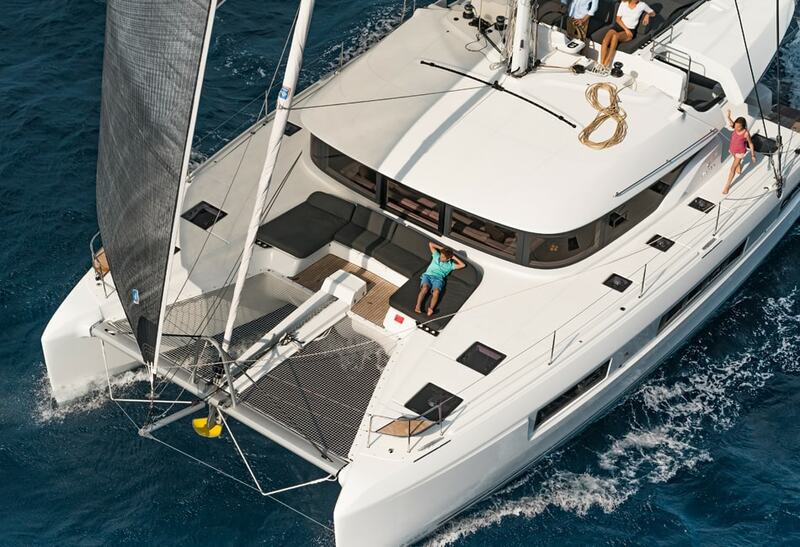 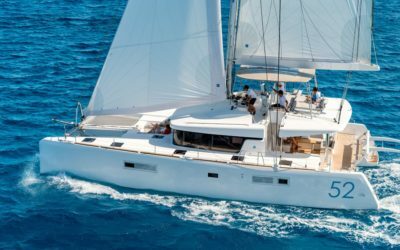 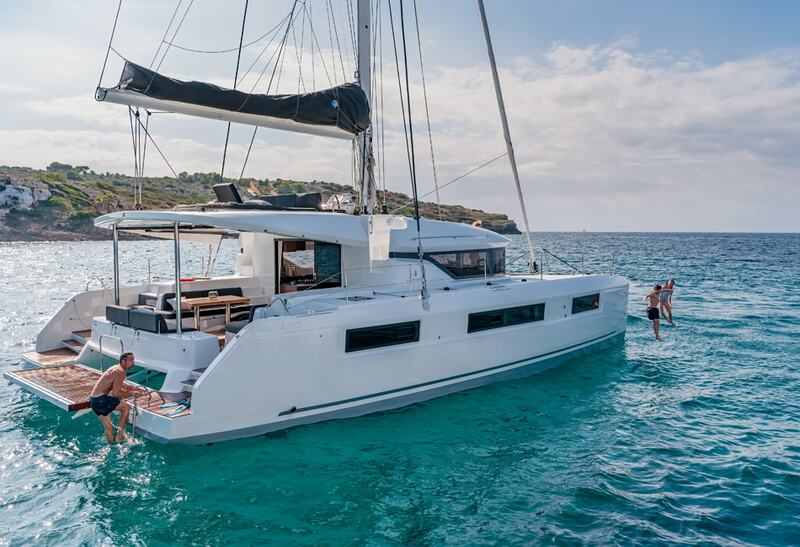 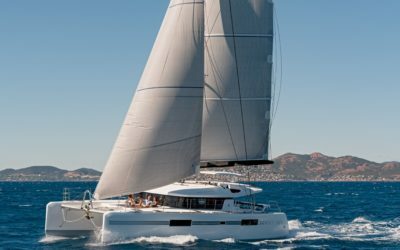 The Lagoon 50 offers improved performance thanks to a better rigging and hull design which also give her a great new visual identity. 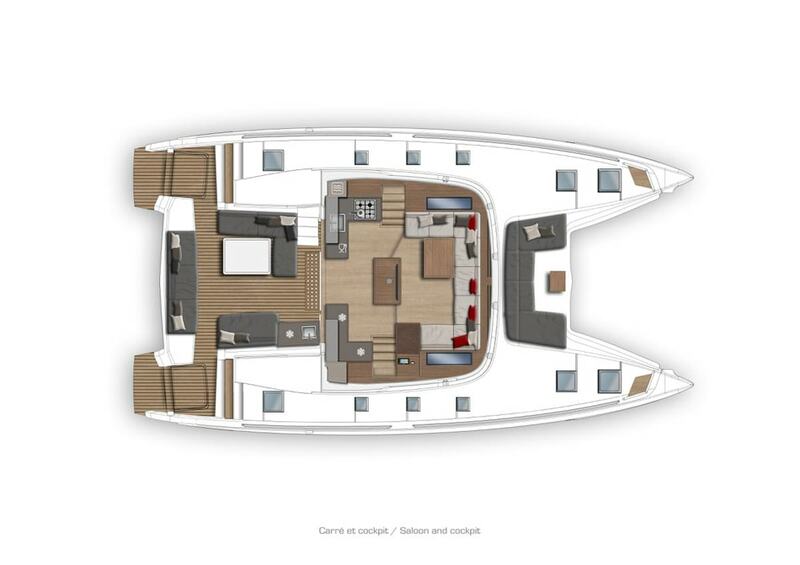 The Lagoon 50 has a large cockpit with stern skirts ensuring easy access. 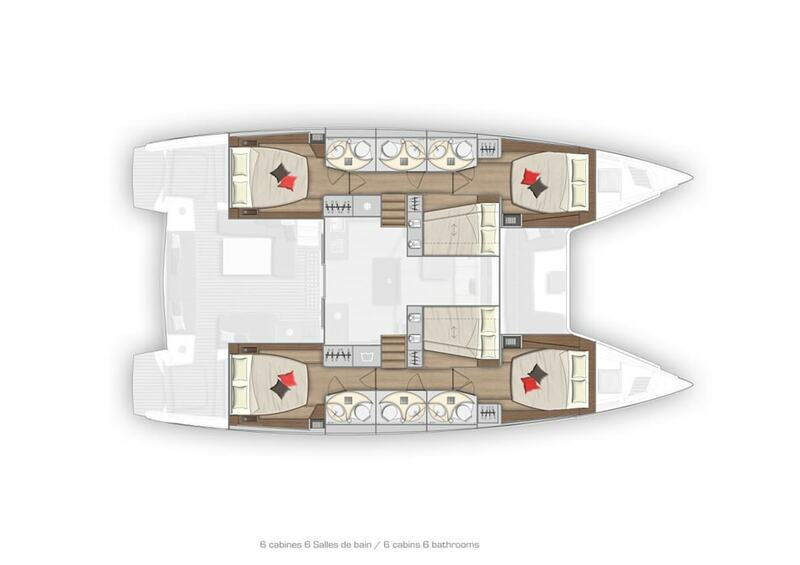 Her flybridge is built with two secure accesses while the helm station offers perfect visibility and a modular recreation area behind it. 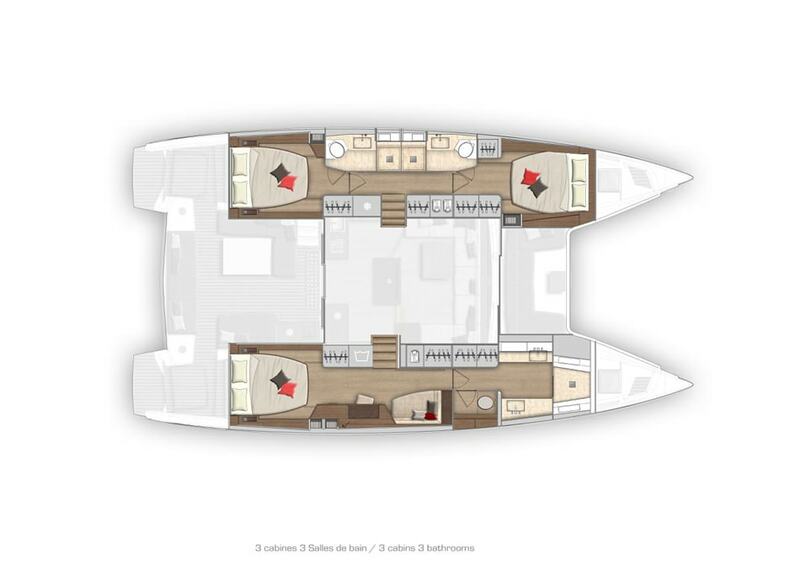 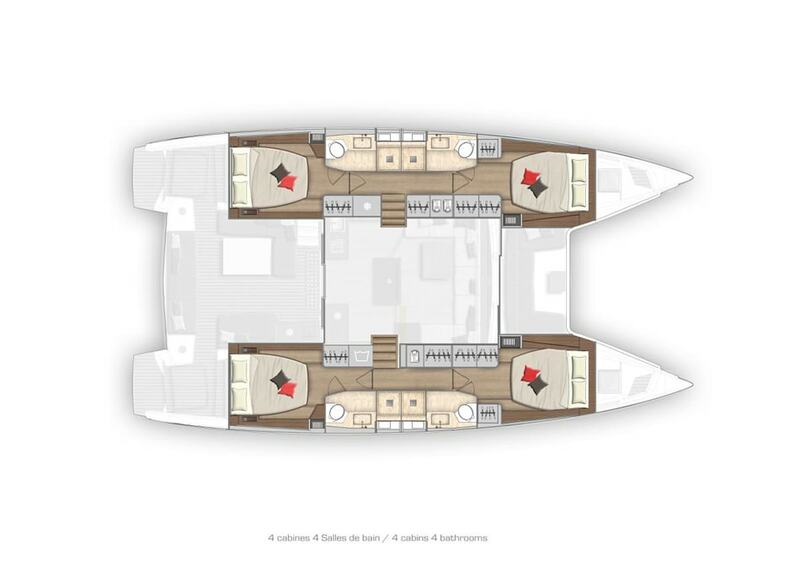 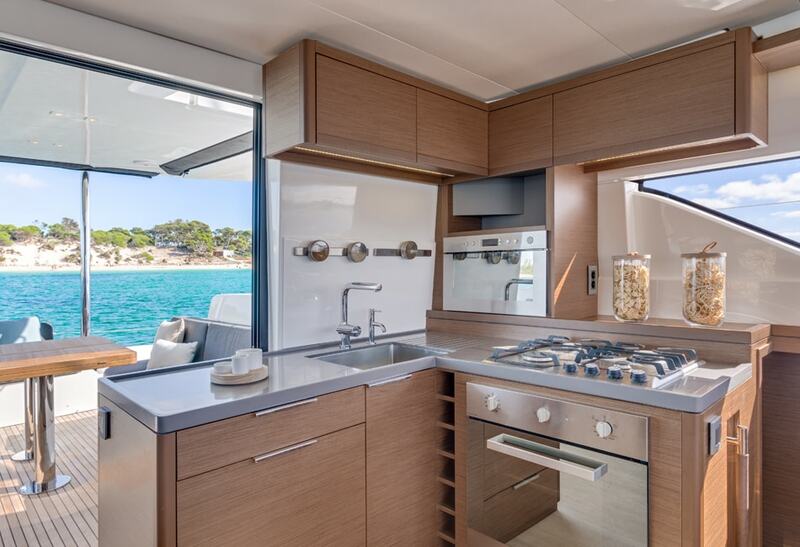 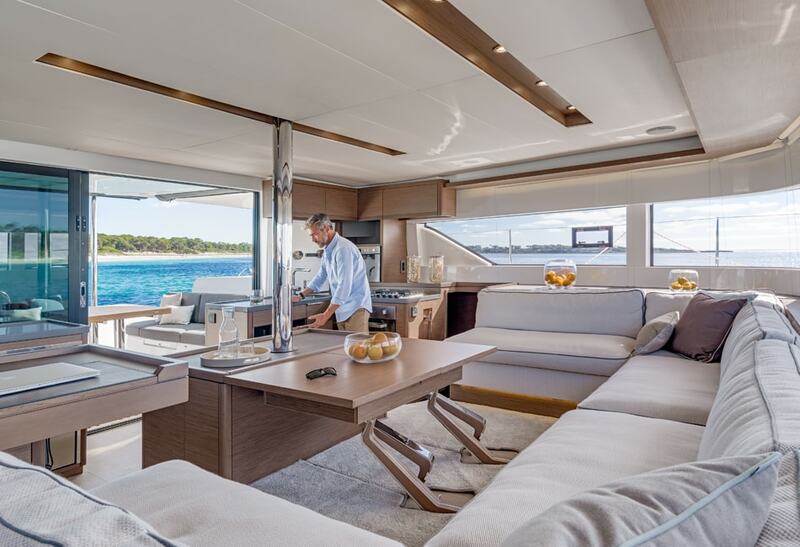 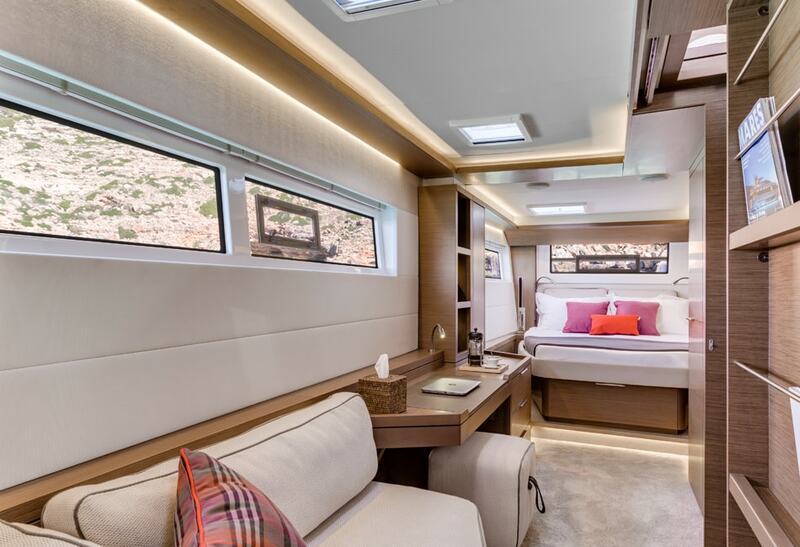 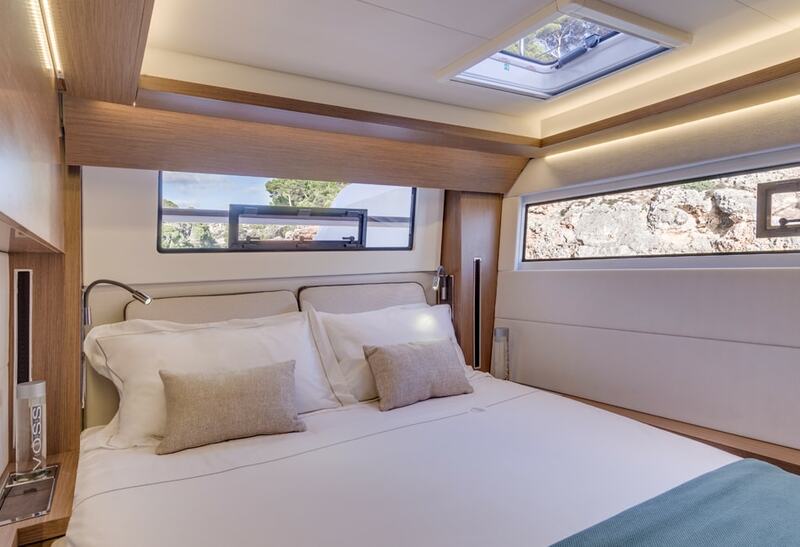 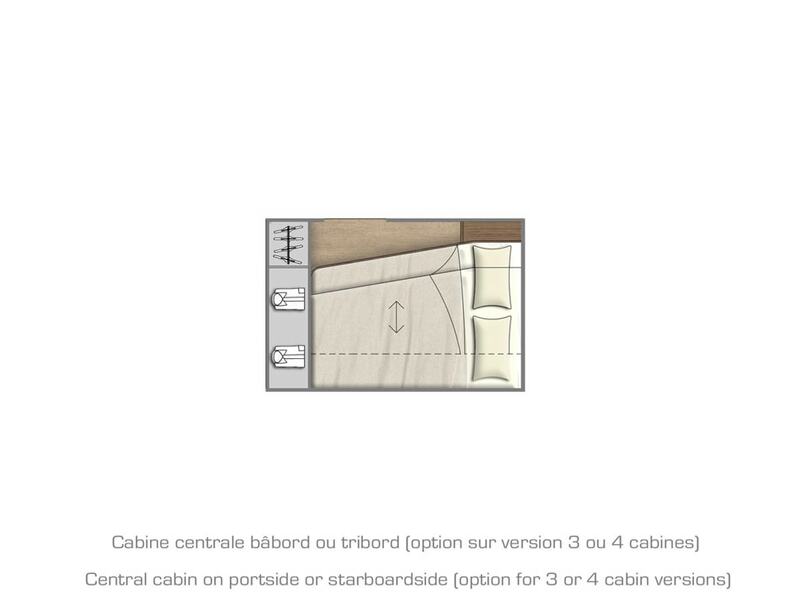 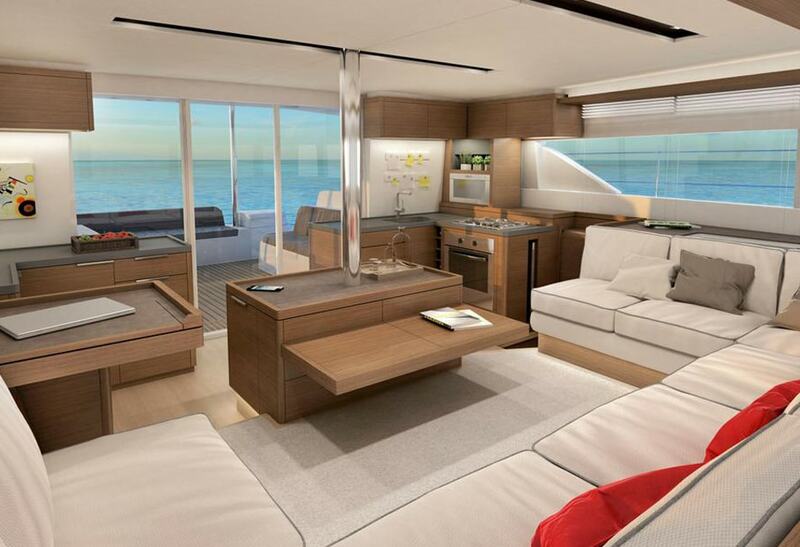 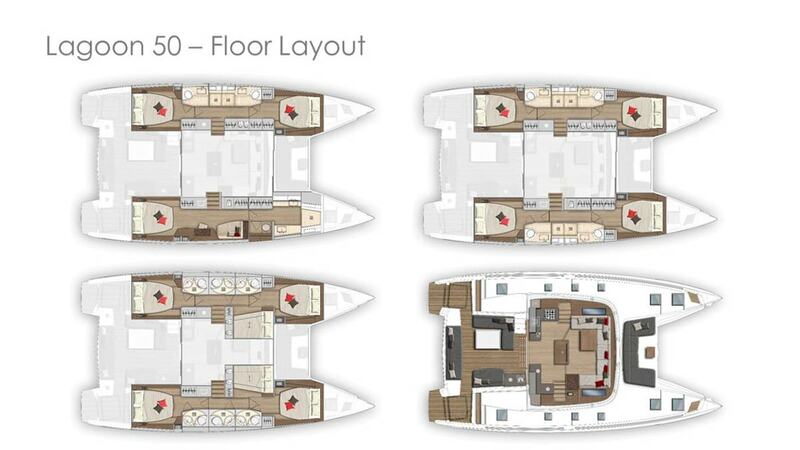 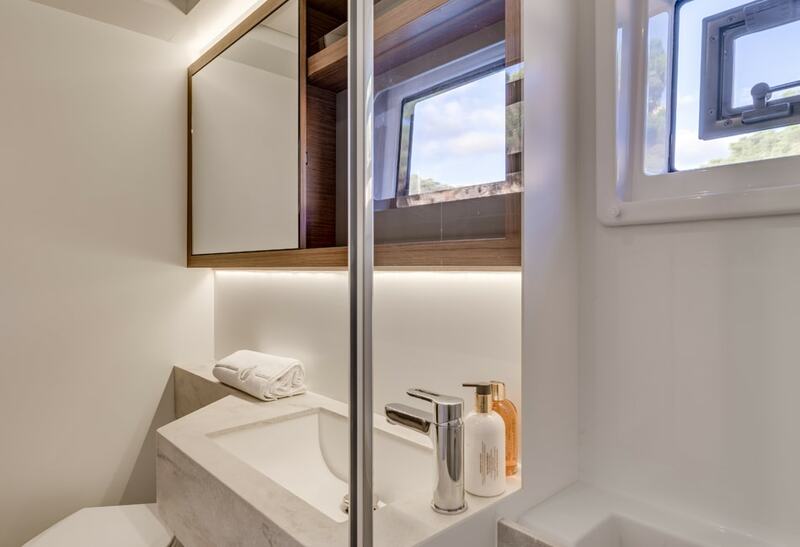 Inside the Lagoon 50 is innovative use of naval architecture combined with luxury and elegance. 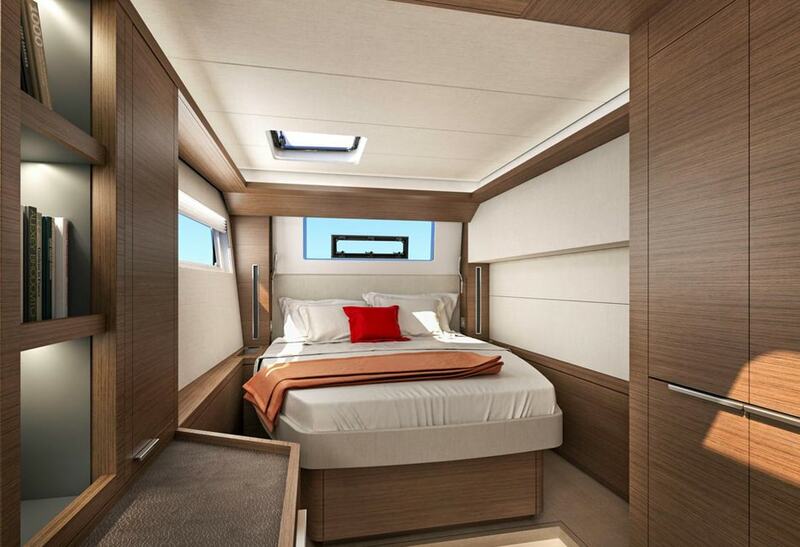 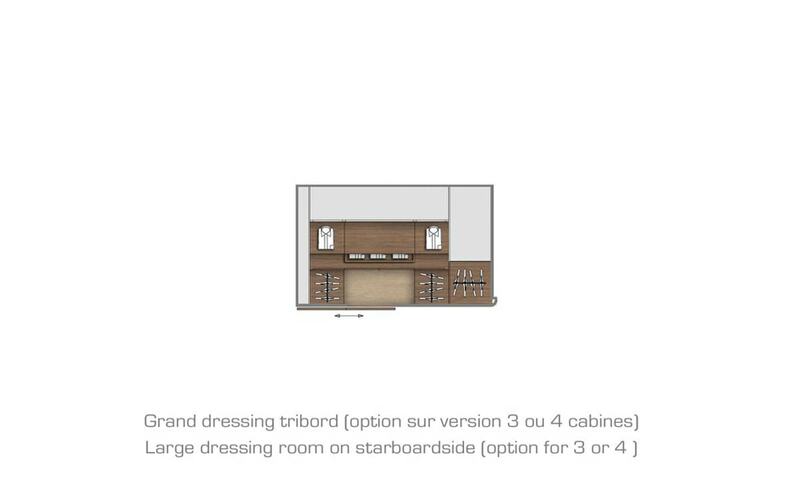 Notable features include a retractable panoramic windscreen, customizable wood finish, and natural light all throughout.